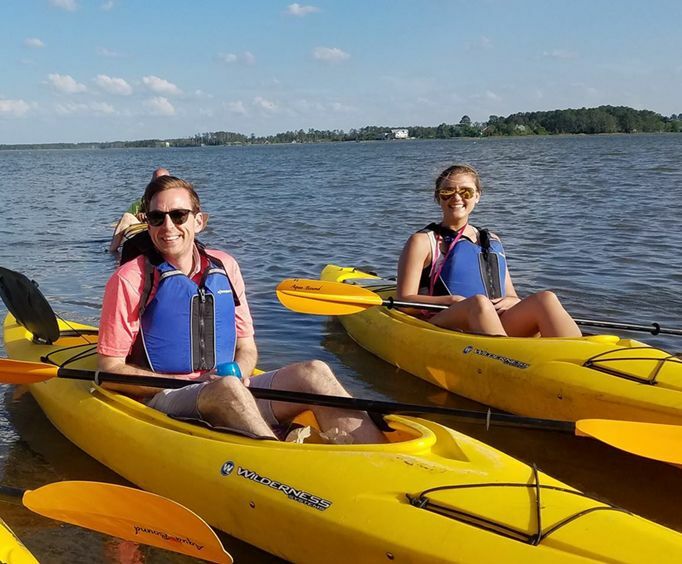 The New Point Comfort Beach & Lighthouse Kayaking Tour is sure to be a fantastic time in Williamsburg, VA.
Kayaking is a great sport in itself. Add it to some awesome sights, historical information, and tons of fun and you've got an amazing addition to your next Williamsburg getaway. These tours allow guests to explore some of the best parts of the city while creating lasting memories with the entire family. New Point Comfort Beach is home to an amazing and diverse ecosystem. Because it is at the adjoining points of the Mobjack Bay and the Chesapeake Bay, guests will have unique opportunities to see a wide variety of wildlife, including birds, fish, turtles, and more. The area is comprised up of three diverse habitats: tidal salt marshes, maritime forests, and sandy beaches. As well as wildlife, guests will also be able to explore the area of the New Point Comfort Lighthouse which is more than two centuries old. It makes for awesome photo opportunities, so be sure to bring your camera! This kayaking adventure is great for people of all ages and experience levels. It is fully guided, so guests can be assured that they'll learn a lot while in a safe and fun environment. Plus, life jackets are provided to visitors. Just be sure to bring sunblock and prepare to have a blast getting wet! Do not miss out on a fun opportunity to explore nature in the Williamsburg, VA area. The New Point Comfort Beach & Lighthouse Kayaking Tour will be one you'll always remember! Be sure to check out other things to do in Williamsburg, Virginia. There are plenty more amazing activities for any vacation in Williamsburg. 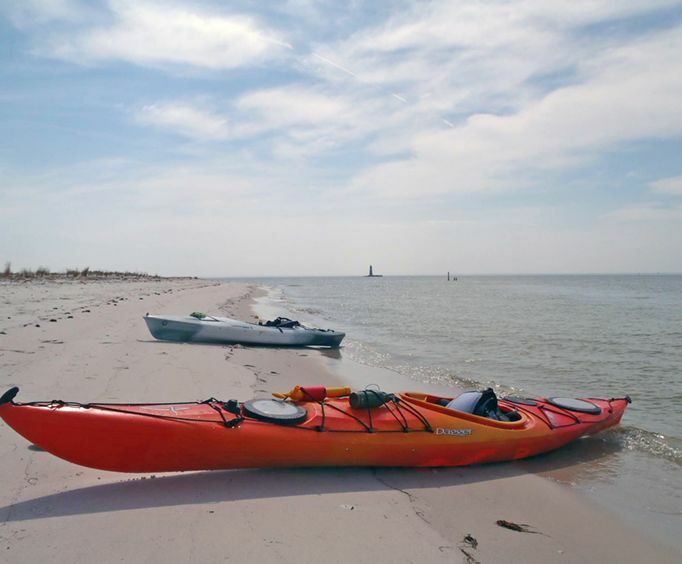 What is included in the admission price for New Point Comfort Beach & Lighthouse Kayaking Tour? What is the policy in case of inclement weather? Tours can be done in light rain. 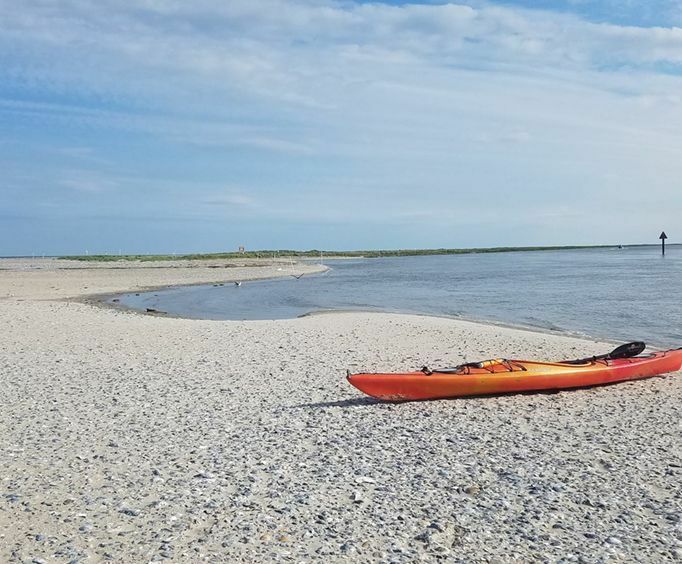 Is New Point Comfort Beach & Lighthouse Kayaking Tour guided or a non-guided timed equipment rental? What age is New Point Comfort Beach & Lighthouse Kayaking Tour appropriate for?